Sunday started what would become a trend for the week- water soloing, or climbing ropeless on boulders overhanging swimming holes. Campers’ incentive not to fall was the icy water below! Monday and Tuesday camp went top roping at the North Side of Looking Glass and at Cedar Rock. At Cedar Rock, camper Davis picked “Glass Dancer” for Ron’s instructor challenge- an opportunity for campers to choose any route they want to see an instructor climb. Ron took the rope to the top and campers enjoyed the climb throughout the day. 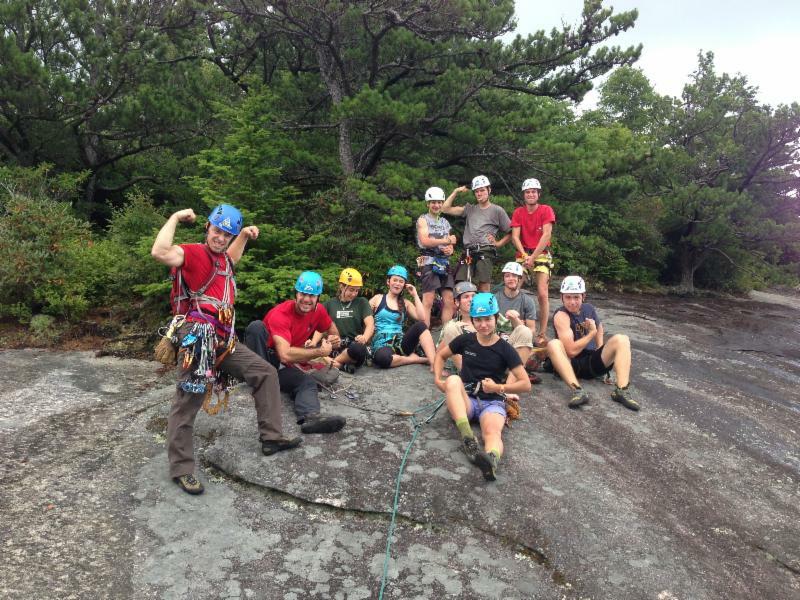 An excursion to the Grandmother boulders in Boone filled up Wednesday while Thursday was camp’s “South Face Assault”- all 9 campers went up 5 whole pitches of climbing as a single group. 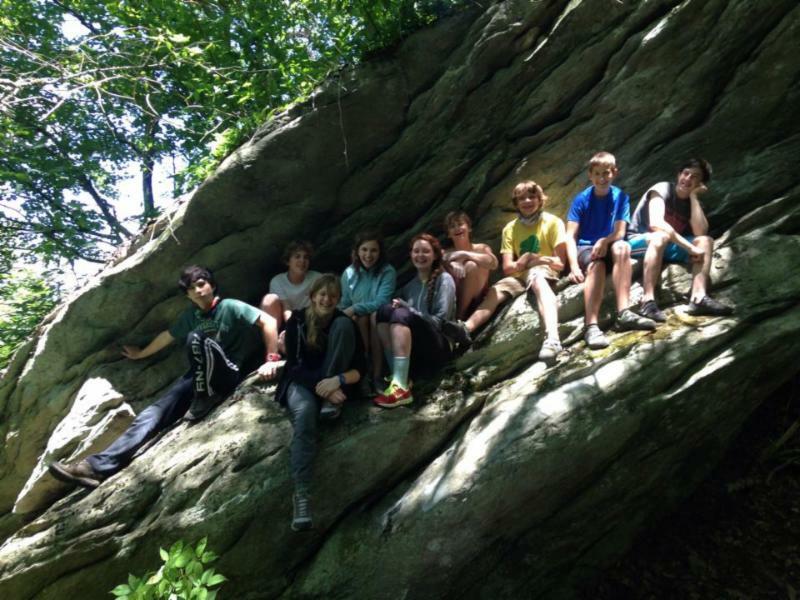 Friday’s rain couldn’t stop the fun- camp went bouldering at Rumbling Bald and got muddy doing obstacles down the trail. Delicious meals and great company throughout all the camps made it difficult to say goodbye but we hope to see some familiar faces next summer! 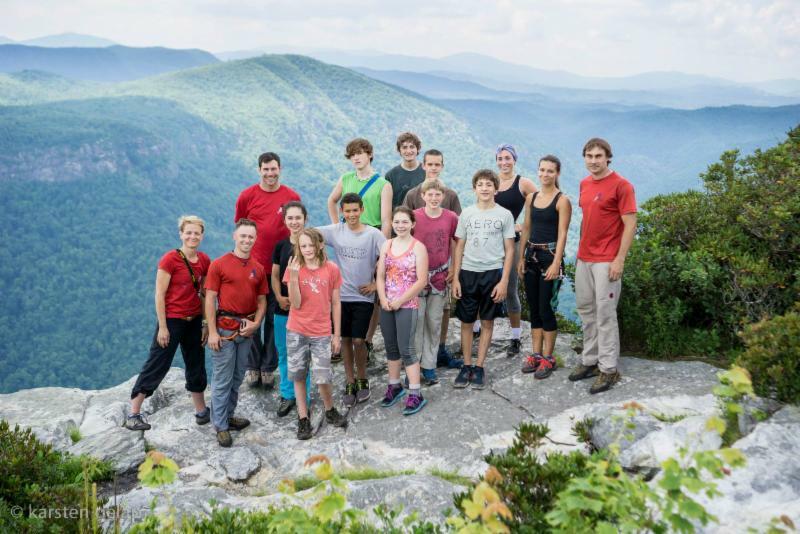 Learn more about FMG Summer Camps.